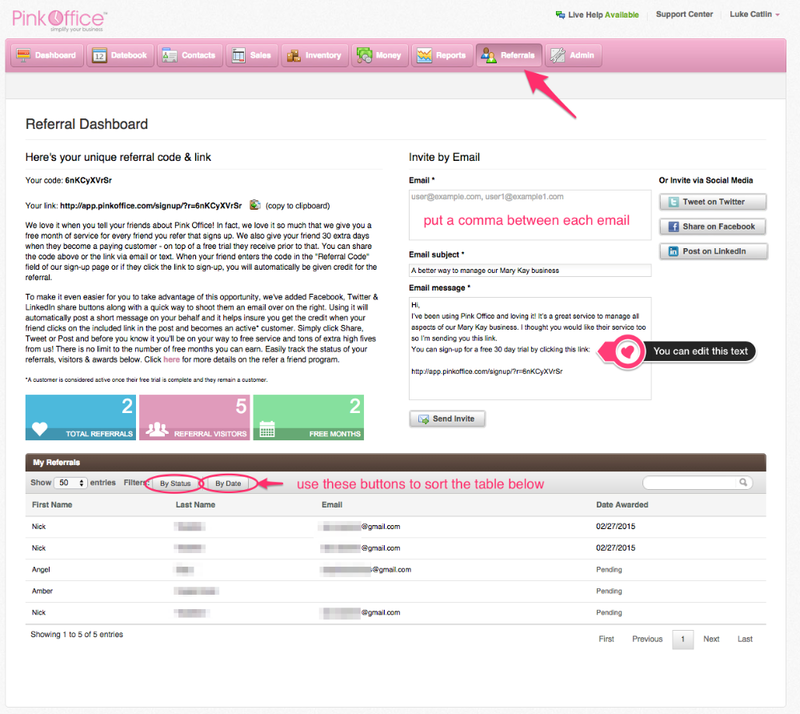 As a Pink Office customer you are automatically enrolled in our Referral program. It's a snap to share your love of Pink Office. In the app you will find a button titled "Referrals." Once you click "Referrals" you will be presented with a screen like you see below. The text paragraph on the left side of this screen will quickly explain how the program works. This is a brief overview of the details. 1. Share your unique referral code or link that is on the Referral Dashboard with your friends. 2. When they click the link or put that code in our sign-up page you will be identified by our system as the referring account. You will also be able to see when this occurs by visiting this page and checking the "My Referrals" table in the lower half of the page. 3. Once your friend becomes an active (paying) customer, you will automatically receive 1 free month of service. Your friend will also receive 1 free month of service as well. It's a win-win.